One fine day in 2011, I walked out of my studio apartment in New York City. As I closed the heavy metal hunter green door common in New York City apartments, my lower back gave out. I could not walk or stand up. Instead, I crawled back into my room and pulled myself up onto the bed. I did not know who to call for help, even though there are forty other apartments on my floor. I didn't know my neighbors. No fault of mine or of them, it is just how people live in New York City, long working hours, late nights at the office, eating out for the most part since the normal kitchen in my building is five feet wide. Rarely do people meet each other at the same time other than in the morning elevator ride which is as silent as it is uncomfortable. I had never experienced intense pain like that in my life. Was I responsible for this back pain? I imagined that my obesity could be a factor in the stabbing pain in my back from just closing a door. I helped myself blow up with Oreo cookies, and Ben & Jerry's Vanilla Heath Bar Crunch pints of ice cream. Fast forward several years to 2014. I had lost 75 pounds, but I pulled my back again. This time doing deadlifts. In both cases, I threw out my back. The first time was from locking my front door, I know, pathetic. In the second case, I experienced lower back pain from the king of full body weight training, the deadlift. For the first time ever. How Bad is the Pain from Hurting Your Back? This is how bad. The first time I pulled my back, it took me more than six months till I was able to walk, bend or get up without fear of my back feeling that pain again. Not to mention closing doors. But, in the second, I was much lighter and stronger. So, after a bit of discomfort of several days, I was back at deadlifting. Now though I paid much more attention to improving my deadlift technique and form. The powerful deadlift can change your body from fat to fit in only six months. Therefore, not doing deadlifts is just not an option. At the same time, sloppy deadlifting is also not an option. So, you must work on perfecting your deadlift form. Can you experience lower back pain from deadlifts? Or can closing your door cause lower back pain? In fact, you can throw out your back doing anything. The idea though is to build a stronger back and body in general with deadlift workouts. The difference is that if you focus on doing the best proper form deadlifts possible, you will be much more resistant to experiencing lower back pain from deadlifts. In addition, as you continue to deadlift with great form, you are going to get much stronger and fitter and keep melting the fat off of your body until you lean out your body and transform into the fit person that you want to be. Therefore, You need to know the best preventative measures against lower back pain from the deadlift. And you need to know it now before you do your next set of lifting dead weight off the ground. Deadlifts done with proper form will make you stronger than you have ever been in your life. You build muscle mass all over your body like a sheath of armor. When you deadlift with proper form, the deadlift will strengthen and protect your back. This is because the deadlift works all the major muscle groups in your body. The muscles you see in the mirror, and the ones you cannot. You will be sore after deadlifts, even a day after deadlifting, but you will not risk injury. Therefore you will stick to your beginner deadlift workout, deadlift program, and grow stronger. What causes lower back pain from deadlifting? The number one reason for lower back pain after deadlifts is bad form. A properly executed deadlift is your friend, and bad form is your worst enemy. The powerful deadlift can change your body in amazing ways. But, you risk injuring your back, knees, biceps and even elbows, if you do not practice perfect deadlift form and technique. Deadlifting with bad form is what puts you at risk for lower back pain and injury. Here are the best deadlift tips to prevent deadlift back pain and achieve pain free deadlifting. Note: If your back is already hurting you, do not use this information from as medical advice. You need treatment, not a web site. But, these deadlift tips can save you from a lot of back pain and time off because of injury. Do not round your back when deadlifting. Don't arch your back when deadlifting. Use a neutral straight excellent posture back when deadlifting. Before you begin your deadlift, make sure that your back is neutral and that your head is neutral as well. The neutral lumbar spine, also known as the neutral back is the position of the back when the relationships between the vertebrae are the same as when standing in normal anatomical position. A neutral back is how to prevent lower back pain after deadlifts with correct posture. To help keep your back neutral, when you are at the bottom of the deadlift position, before you begin your deadlift, raise your chest. Do not round your shoulders and having your chest sunken. Instead, keep your chest up to avoid deadlift lower back pain. Raising your chest will immediately make your back flat. Take a deep breath and tighten and strengthen your core muscles. You cannot do deadlifts if your body is soft like jello, you have to be sturdy and solid in your core. I have already made the mistake of not bracing to strengthen my core and I paid for it. Do not make this mistake and bad form which includes improper breathing. Brace, fill your belly with breath and tighten your core before you lift. 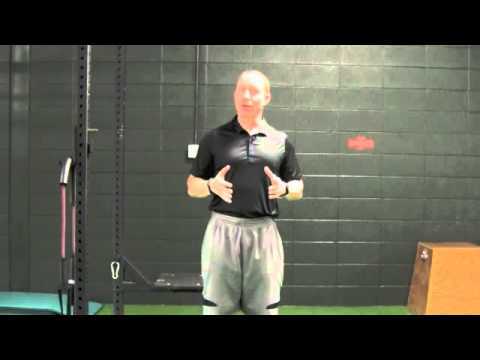 This will help prevent deadlift lower back pain. Unless you have deadlift shin guard sleeves, it is better to wear long pants for your deadlift workout and not shorts. Wearing long pants will give you more confidence to keep the bar close to your legs while you deadlift. The further the barbell is from your legs, the heavier the weight will be and the more risk for injury. This is one reason that the trap bar deadlift has become so popular, because in the trap bar deadlift, you are right in the center of the weight to deadlift. However, for the conventional deadlift, you want to keep the bar as close to your shins as possible. Wearing weightlifting pants will help you protect your legs and lift with proper form. In turn this will prevent lower back pain after deadlifting. In addition to wearing long pants, get over the knee deadlift socks to protect your shins. Keeping the bar close to your shins is another preventative measure against lower back pain from deadlifting. A simple but effective way to keep the bar against your shins is to wear great deadlifting socks and long workout pants. I use MOXY deadlift socks and vouch for their effectiveness for shin protection and form correction. Set up with the bar over mid foot, meaning, the middle of your feet. Your feet are a bit narrower than shoulder width so you have room for your arms to grab the barbell. Grip the barbell about shoulder width. You crouch down during the set up with your hips below your shoulders and your back neutral with chest up. Your shoulder blades are straight above the barbell, not behind or ahead of the barbell. Right before you begin the deadlift, tighten your grip on the bar, take a deep breath, and tighten your whole body. Keep holding the breath while you start the deadlift. The bar rises close to or right against your shins. Since you are wearing deadlifting socks and long pants, you will not bruise your shins. As soon as the bar reaches your knees, squeeze your buttocks and drive your hips forward to straighten out your body. 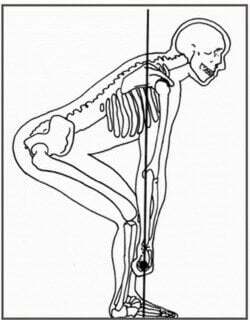 Moving your hips forward as soon as you can will help to prevent deadlift lower back pain. Because hip drive takes the stress of the weight off your back. When you straighten up by pushing your hips forward, do not push them so far forward that you end up hyper extending your back. Never arch your back, not at the beginning of the deadlift in set up position, nor at the end when you have stood up with the weight. Keeping your back neutral throughout is the best insurance to avoid deadlift lower back pain. Do not lean back or arch your back at the top of the deadlift. A common mistake when deadlifting is trying to pull the weight up with your shoulders or arms. This is a big mistake and could lead to tearing a bicep. Do not attempt to use your arms to lift the weight because you will then be putting major stress on your back and arms. Instead use the most powerful and largest muscle group in your body, your legs to drive your deadlift. Push your feet against the floor and push with your legs. When the bar reaches your knees, drive your hips forward to stand up with the weight. Use your leg strength to deadlift and you can save yourself from deadlift lower back pain. 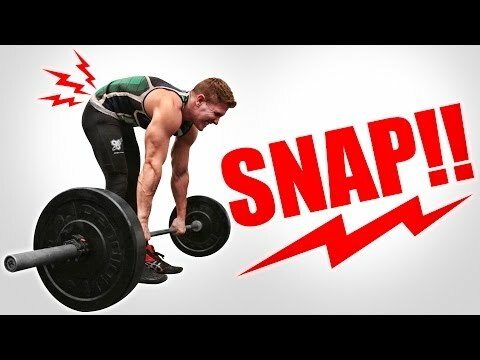 3 Easy Tips To Eliminate Deadlift BACK PAIN & LIFT MORE WEIGHT! | USE THESE NOW! This should be a no brainer, but we all have egos. Stay focused on gradually increasing your weight in the deadlift while always practicing best form possible. Use a beginner deadlift program and workout routine to focus on training and recording your workouts. If your ego seduces you to deadlift more weight than you can handle and you wreck your back, you are not going to be feeling or looking too strong to anyone. You will be lucky enough if you can hobble around on your feet and just wait till when you sit down or you want to stand up, you will really feel weak! This is no joke, increase your weight gradually, five pounds a session and when you feel really comfortable and strong, than increase your deadlift weight. Even if you know you can handle the weight you are about to deadlift, if you do not warm up, you are inviting deadlift lower back pain into your life. Make sure you warm up. If you do not have time to warm up, you do not have time to deadlift. Run for five minutes, walk for twenty minutes, use a foam roller, whatever is your normal warm up, do it. Consider doing your deadlifts after squats. A typical warm up of squats and three squat working sets will take about thirty minutes. By that point your legs, body, back, will all be very warmed up for deadlifts. I use this deadlift workout routine which has an excellent deadlift warm up. Foam rolling aka self myofascial release, is an excellent alternative to getting a massage to help release muscle tension. You can use a foam roller both before and after your workout. 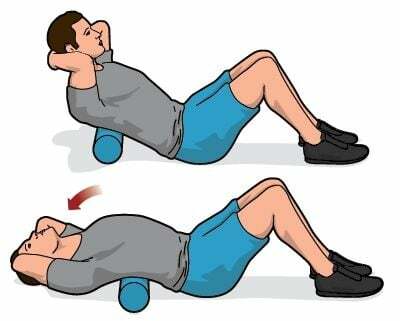 A good foam roller will increase the blood flow and range of motion in the areas rolled. Foam rolling is an effective tool to decrease your risk of injury. In addition, self myofascial release also promotes recovery after a workout. In summary, 10 simple and effective ways to prevent deadlift lower back pain from happening to you.